My kids love learning and dancing so an educational DVD that combines the two elements was very intriguing. 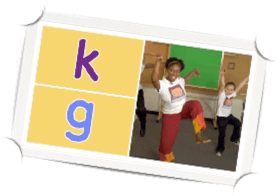 Phonics Fantasy Theatre is an innovative program that uses West African Caribbean dance moves to synchronize with letter sounds. My children immediately began to participate and were moving and making the appropriate sounds. I loved that they were getting physical exercise and learning by doing and being an active participant. This program uses lots of repetition and fun activities to learn letter sounds. Phonics Fantasy Dance “assigns a specific dance movement to speech sound categories such as stretch sounds, short vowel sounds, stop sounds, long vowel sounds, r-controlled, letter blends and diphthongs.” The instructor, Ms. CJay is warm and inviting with my children responding to her immediately as a “teacher.” My eldest son (age 5) has always learned best by doing and through hands on activities so Phonics Fantasy DVD stimulates all of his learning strengths. Added bonus? It is fun and my children really enjoyed learning new dance moves and making the letter sounds. The creators of Phonics Fantasy Dance have over 30 years in the field of speech-language pathology and 10 years in educational theatre. 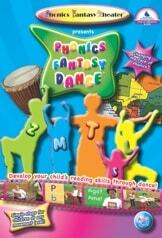 I really liked Phonics Fantasy Dance…it is over 140 minutes of programming which can be broken down into small segments through 19 lessons. I will be incorporating this into our home school reading program. There are times that my son gets very fidgety with bookwork so this program will be a perfect compliment when I need him to learn and he needs to get moving. You can purchase Phonics Fantasy Theatre for only $19.99. I like the Dog Cool Mist Humidifier at your store. The creators of this ingenious product have backgrounds in speech-language pathology- just like me! 🙂 This would be SO helpful for my career! Thank you for making me aware of it! I learned that the programs are developed by a speech-language pathologist and theater arts educator in collaboration with dance instructors, teachers and parents. Voted @ the Who’s Who of 2010 Contest! Voted @ Picket Fence Blogs! I learned the DVD reinforces the letter-sounds through repetition and engaging activities in a language-rich context. I like you on Networked Blogs! I follow you on Blog Frog! I love the Sponge Bob humidifier! That is the coolest!